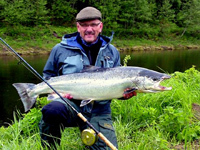 The classic fly-fishing destination for the biggest Atlantic Salmon in Europe, are the mighty Norwegian rivers Namsen in Middle-Norway, and the legendary Alta and Tana rivers in the far North. 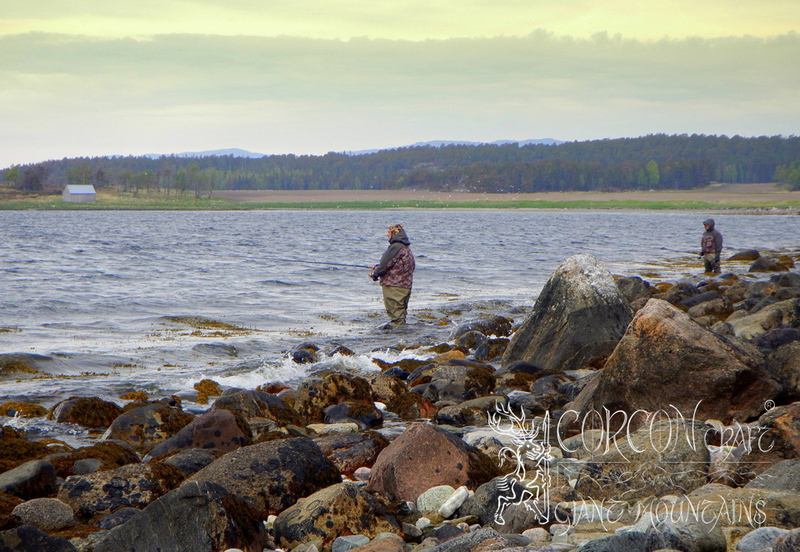 We are fishing at the quiet Bjora River, a contributory of the Namsen, where the salmon season opens first on the 15. of May, at a private estate of forest, field and stream. 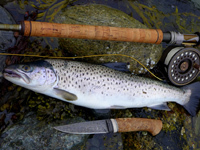 Generations of fly fishing authorities like Charles Ritz, Sir Edward Grey, and Frederic Tolfrey have been fishing in Norway for "Store Laks" back in the old days, and have inspired us with their stories about giant salmon in wild and remote rivers. 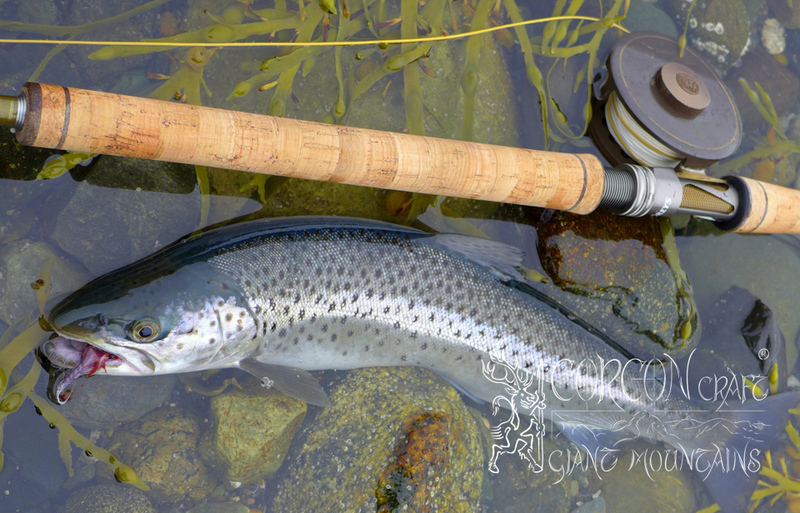 The English and the Norwegian Royal Families are fishing these famous Salmon rivers until today, and traditional rod & reel manufacturers like HARDY of Alnwick, Northumberland, are still testing their newest tackle developments, while fishing for these strongest salmon in fast-flowing rivers. 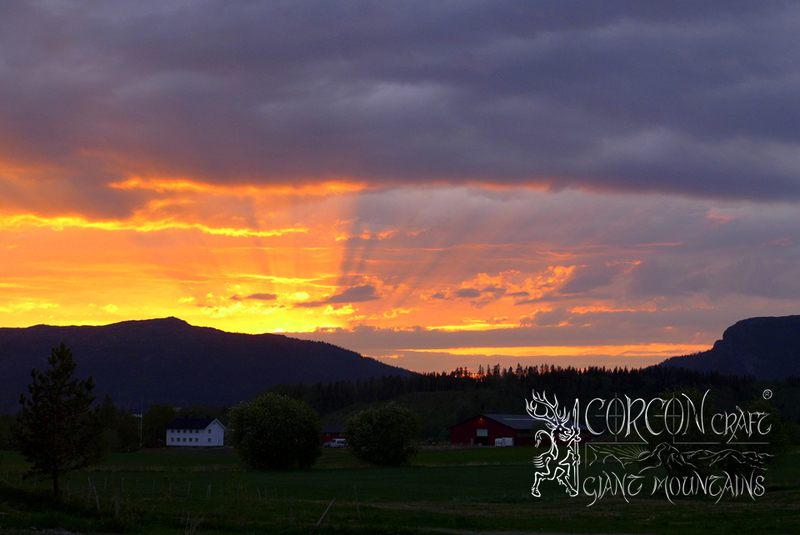 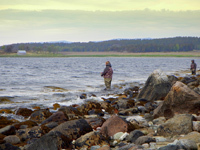 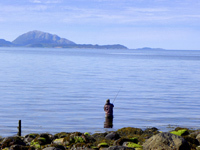 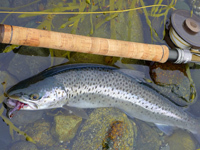 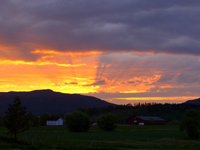 The opening of Salmon season by mid-May in Norway, is traditionally the best time for fishing the largest of Atlantic Salmon specimen, which are the first to enter these big rivers in spring time. 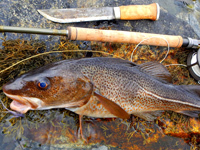 The catches may be fewer in early season, but the fish are always big. 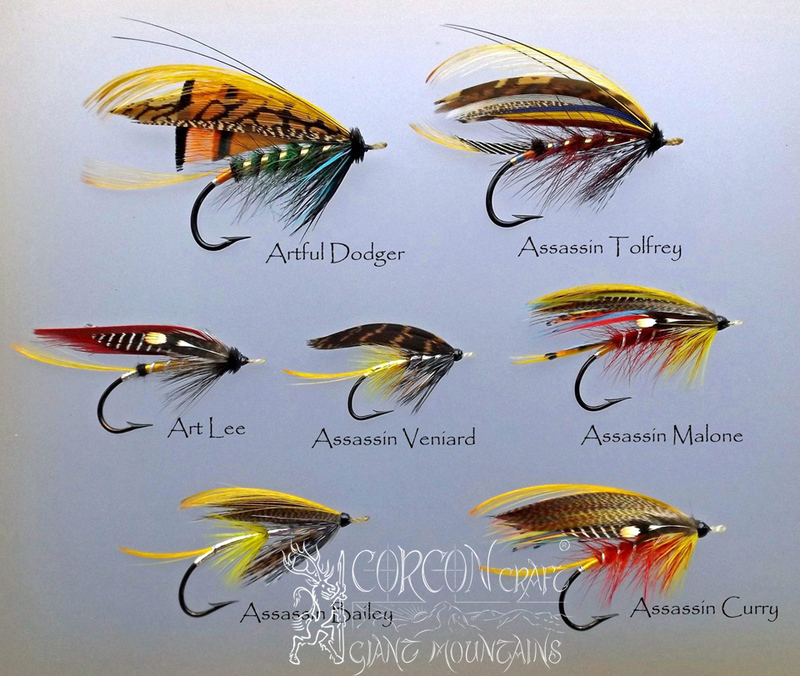 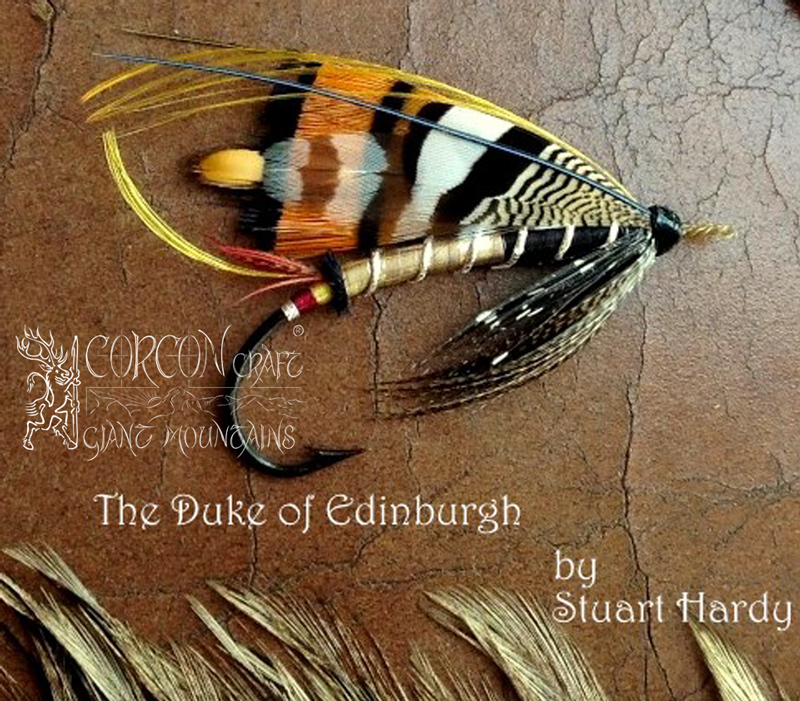 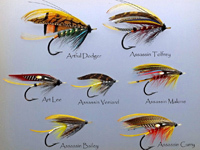 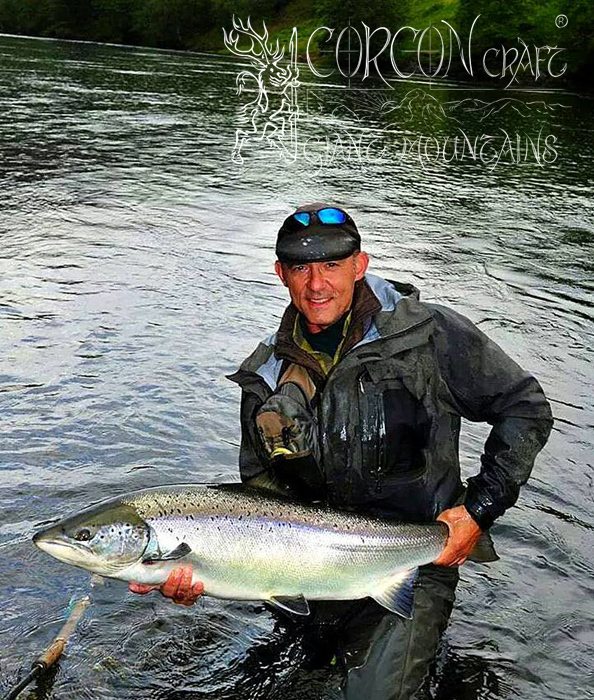 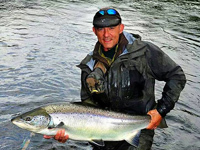 - These exclusive places are the fishing spots for the salmon angler specialist, who is after big salmon in the record-class, and here he will be fishing beside kings, and in the elite company of the happy few. 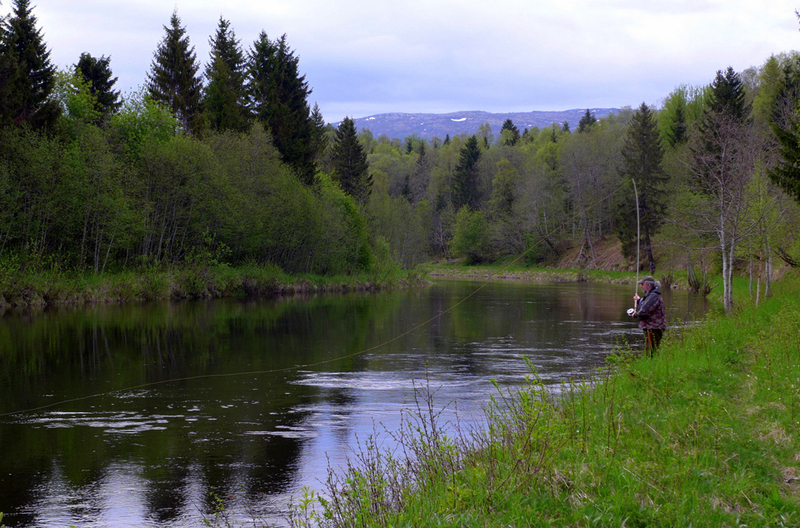 The Bjora River, a major contributory of the mighty Namsen, is a quiet and hidden river, and rather narrow and deep, but the salmon from the Bjora are always the biggest, with record-class fish every season. 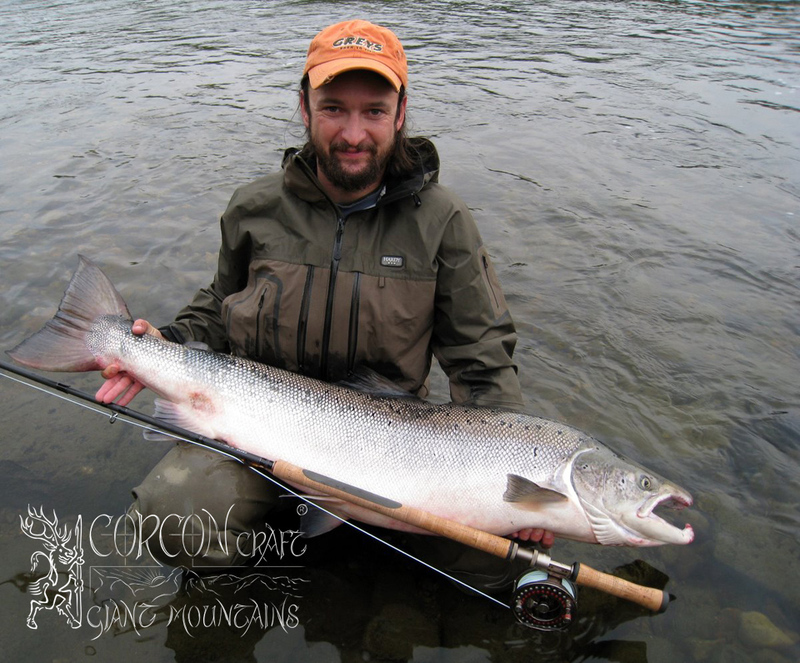 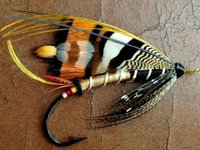 The fishing is productive from bank or Harling alike, and the traditional Spey angler will find many a deep pool and swift current in the tranquility of the woodland river. 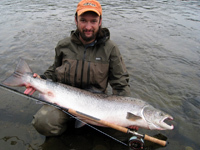 This wild river is not regulated by any dams, and therefore the melting of snow in spring, and the water level during rain in the mountains, are far better predictable than on regulated salmon rivers. 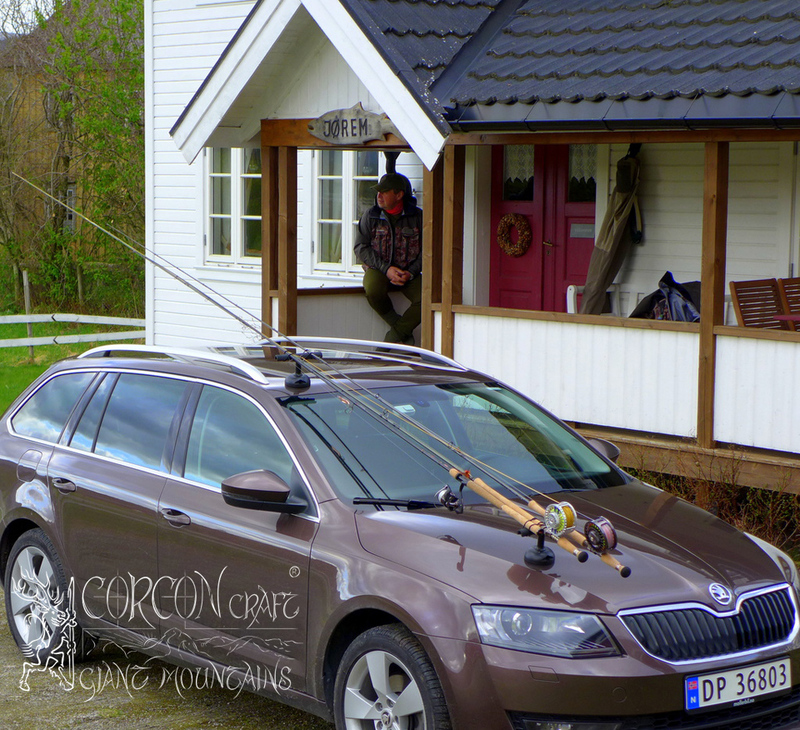 The river stretch is 6 km long, with only 3 rods per beat of 3 km, and the two beats are changed on a revolving system every 24 hours between 6 anglers. 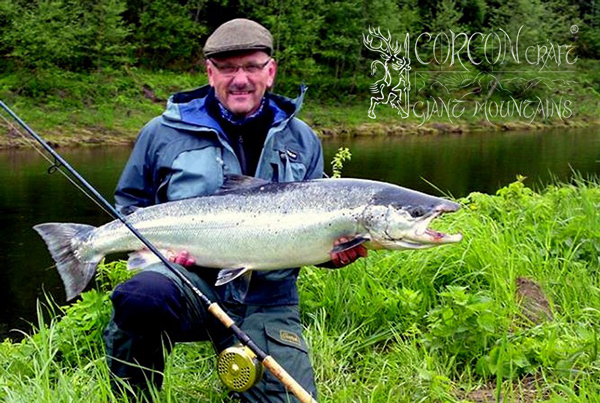 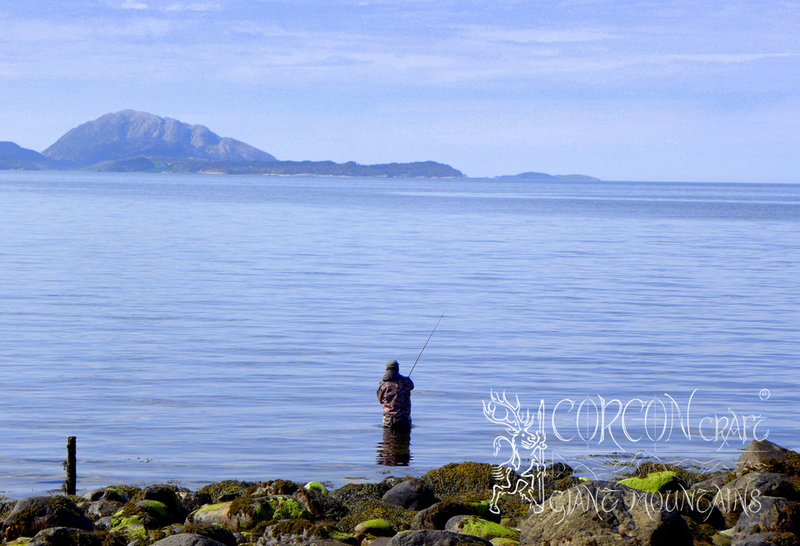 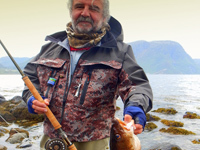 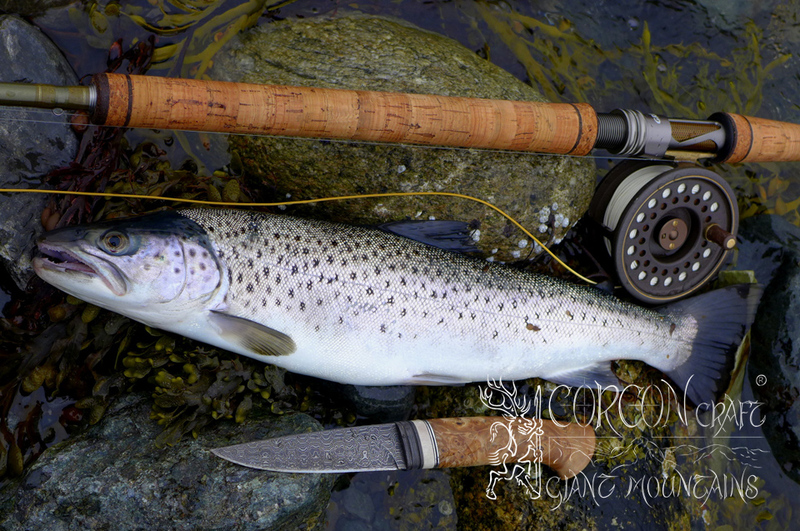 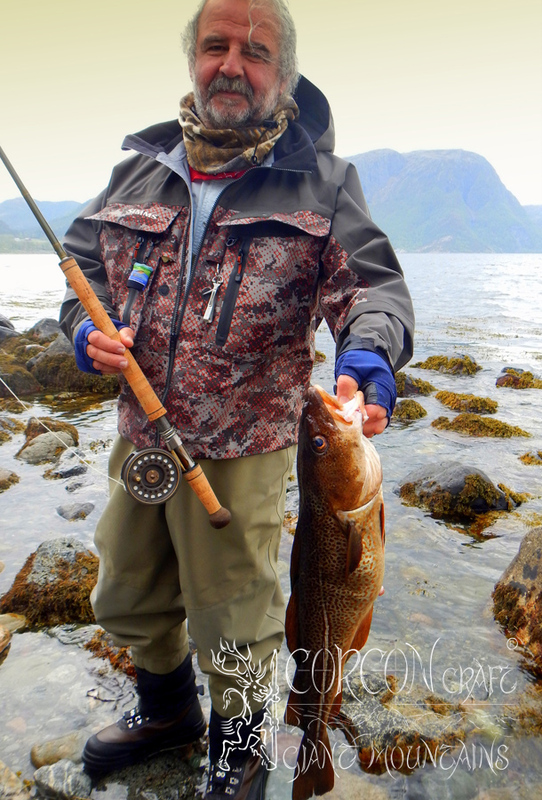 9 days tour with full 7 days of pure fishing for big Atlantic Salmon, Sea Trout, Cod. 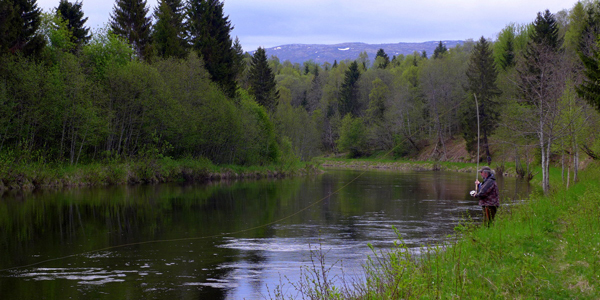 Only 3 rods per beat of 3 km river at the Bjora – Namsen. 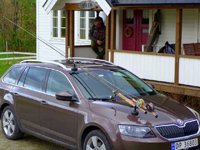 2 beats of 6 km in total. 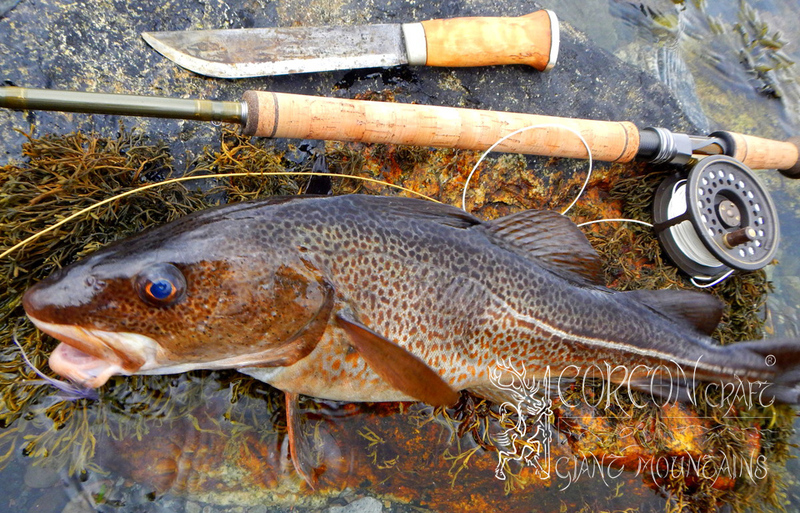 1 day of added fishing for Sea Trout and Cod at the Atlantic coast. 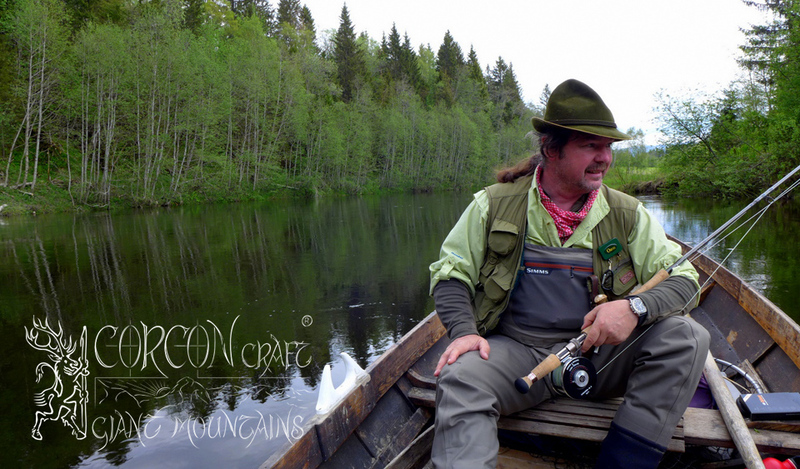 Perfect conditions for fly-fishing, from bank or Harling roving boat. 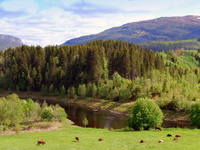 Shelter-huts and fireplaces along the river, for fishing at night and through rain. 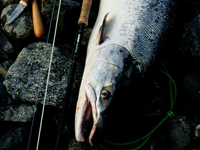 Guided by the best local salmon gillie and landowner – farmer. 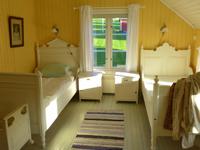 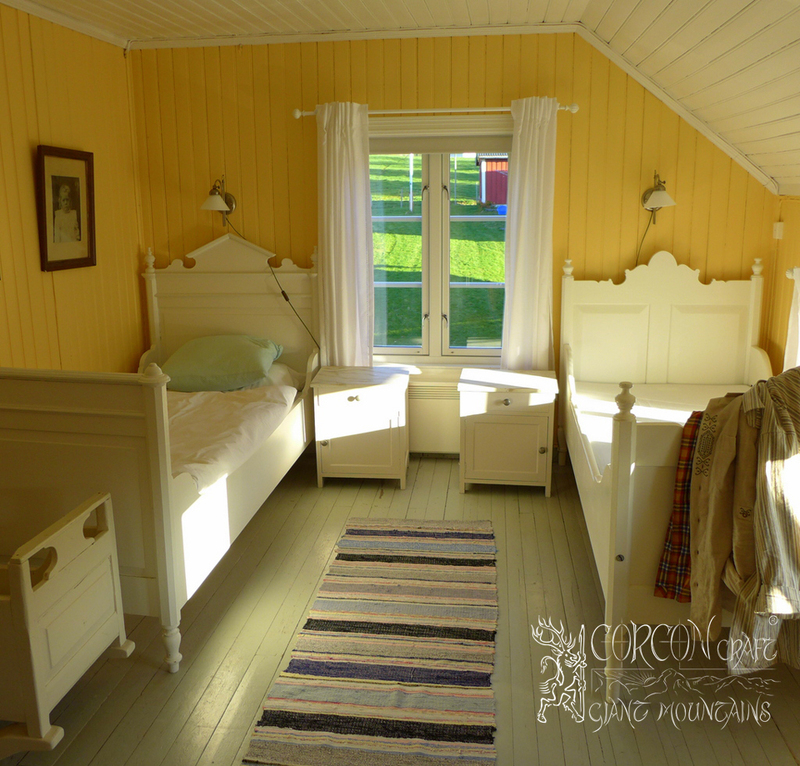 Full board with accommodation at a stylish traditional country house. 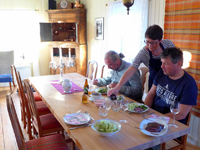 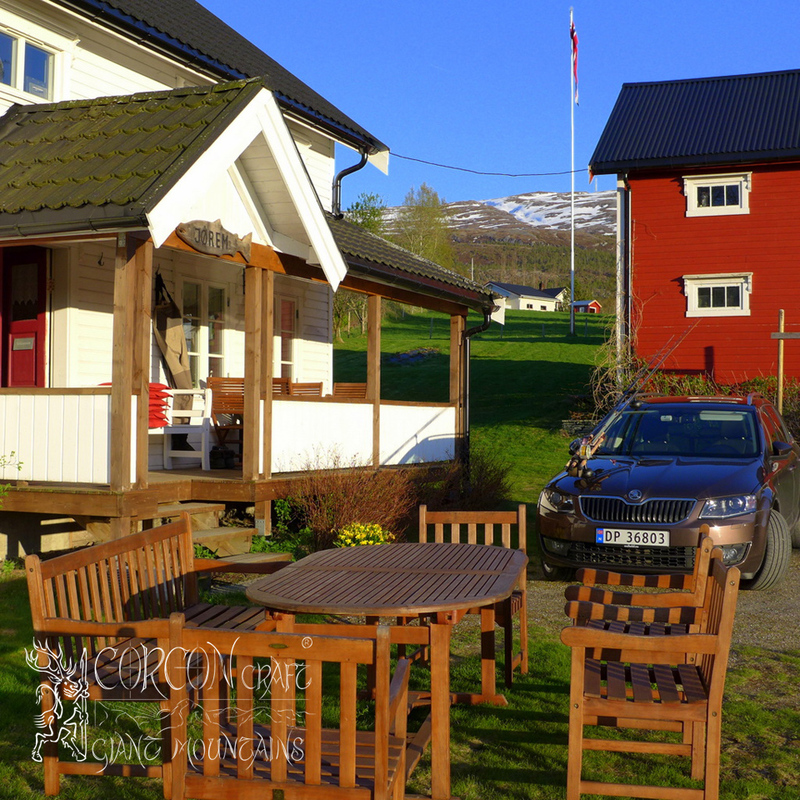 Self-catering breakfast and a rich 4-course gourmet dinner, locally brewed beer. 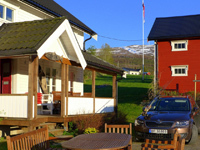 Collection at the airport in Trondheim with our transfer to river Namsen and back. 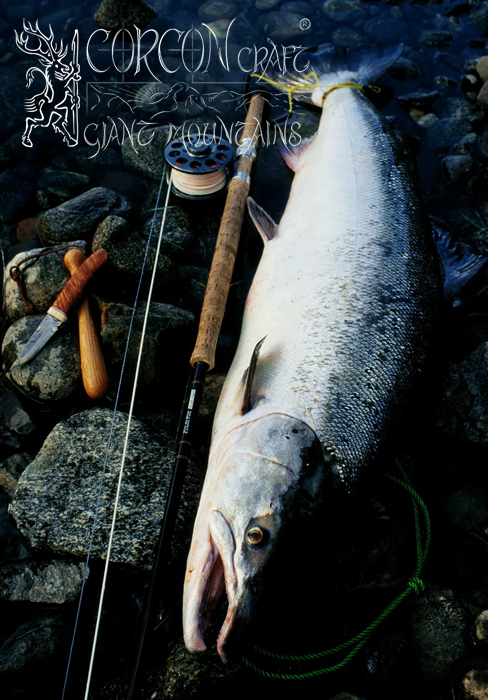 Norwegian Salmon fishing license included. 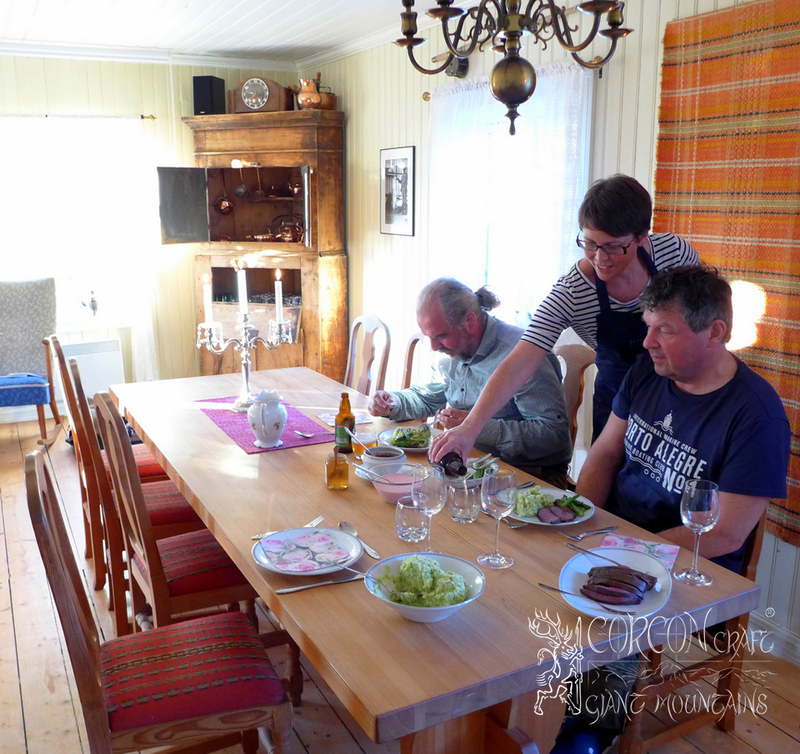 Not included are alcoholic beverages and the international flight fare to Trondheim.